We provide high quality data history on major world financial markets. The financial data currently cover the US, the Americas, Europe and Asia on Futures, Stocks, EFT(s), Cash Index and FOREX. Traders choose Tickdatamarket because they trust our data's quality, accuracy, and reliability. Different Time frames are provided, Tick, Trades & Quotes, minute data, Order Book and daily data. Tickdatamarket’s massive centralized historical database was specifically created to serve as the backbone for testing trading strategies. Our data integrity team is dedicated to cleaning and maintaining the quality of the data. We provide FOREX data with GMT time. Trades & Quotes data provides all of the information that is needed to trade using most trading system. Order book can provide enormous insight into a stock's price action. Tickdatamarket is one of the world’s largest databases of high frequency data for financial institutions, traders and researchers alike. It captures, compresses, archives and provides uniform access to global historical data. Tickdatamarkets collects every tick for all asset class types including equities, futures, interest rates, FX and cash indices, as well as full order book data. 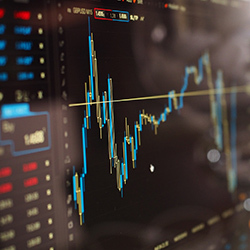 Tickdatamarket enable clients to run historical simulations and back-test, develop trading and market-making strategies and build transaction-cost models.